We don't think it's possible to love a season as much as we love autumn. Yes, spring has the gorgeous flowers, summer has fabulous sunshine and winter has the magical snow, but autumn really has a little something special from all other months. Autumn still has the beautiful flowers, it often has the sunshine, albeit with slightly less heat, and while we hope it doesn't have the magical December snow, it has something just as magical - the colours. Autumn is full of yellows, burgundies, oranges, golds and reds. The leaves turn ombre with blends of all the colours of the warm season, while the low golden sun touches against everything making it warm and toasty. Yes, we have a special appreciation for autumn, particularly when it comes to weddings. We've already looked at different details you can include in your autumn wedding but we don't want to neglect the groom. 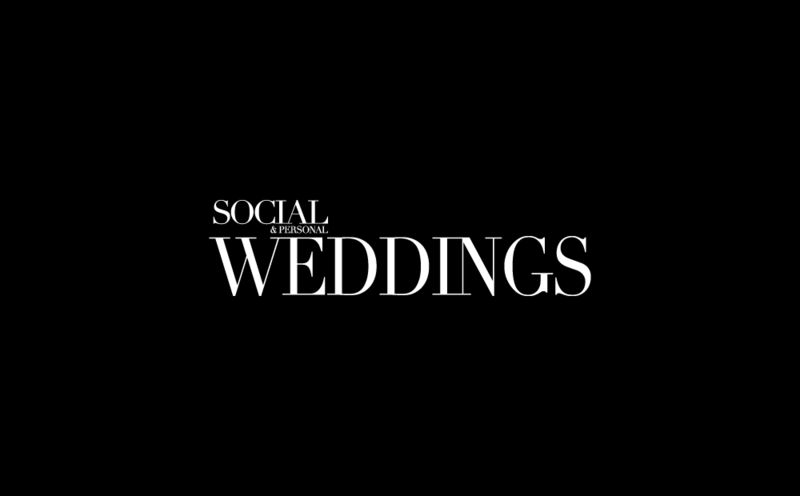 The groom's suit and accessories are important to him on his wedding day and they shouldn't be forgotten about when it comes to the theme and style of your wedding day. 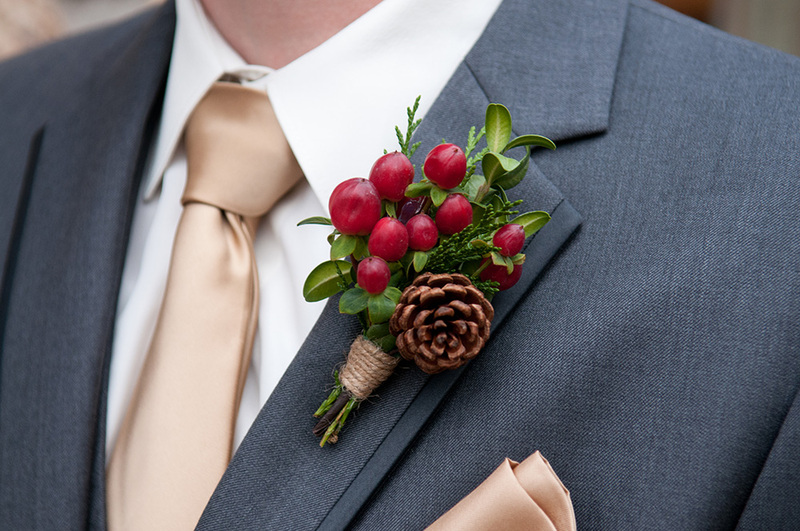 If you're looking for details to match your autumn wedding, don't forget about your groom and his boutonniere. 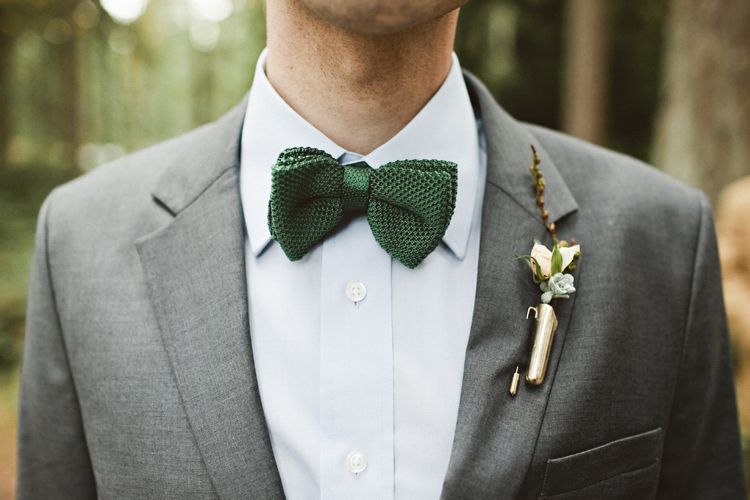 The groom's boutonniere is one of the main ways he can express his personality on his wedding day, especially if he's sticking to something relatively traditional in terms of the suit. 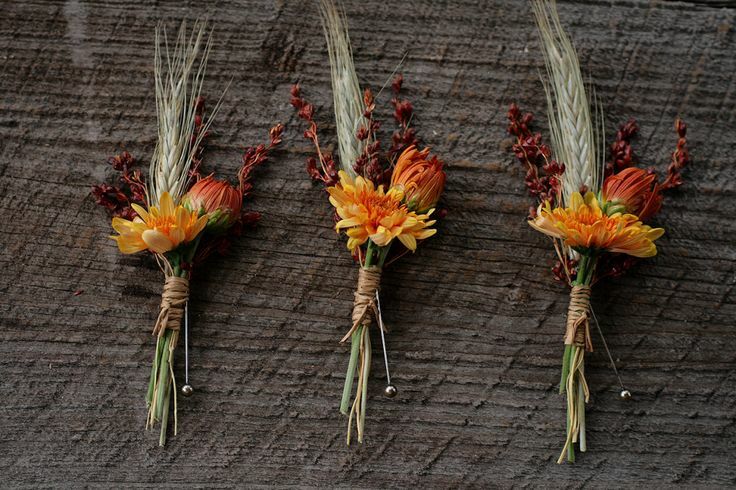 We found ten gorgeous autumn themed boutonnieres for grooms having an autumn wedding. There are subtle ones with autumnal colours, and more obvious autumn ones with seasonal leaves, berries and acorns. Whatever your choice, there are plenty of autumnal boutonnieres to choose from.